Growing hydroponic tomatoes is fun and rewarding. Hydroponic tomatoes can be grown indoors with the help of grow lights, seasonally in your yard or patio or year round in a greenhouse. Tomatoes are full of healthy nutrition like Vitamin C and Iron and can be prepared for eating in a countless number of ways–or best yet, eaten straight off the vine. Knowing exactly what’s gone into and onto the food you eat or feed your family provides great peace of mind. There are as many good reasons for you to be growing hydroponic tomatoes as there are ways to enjoy them. There are hundreds, if not thousand of varieties of tomatoes. Why be limited to just the few that are available at the grocers? Tomatoes come in a variety of tastes, colors, shapes, sizes and growth characteristics too. 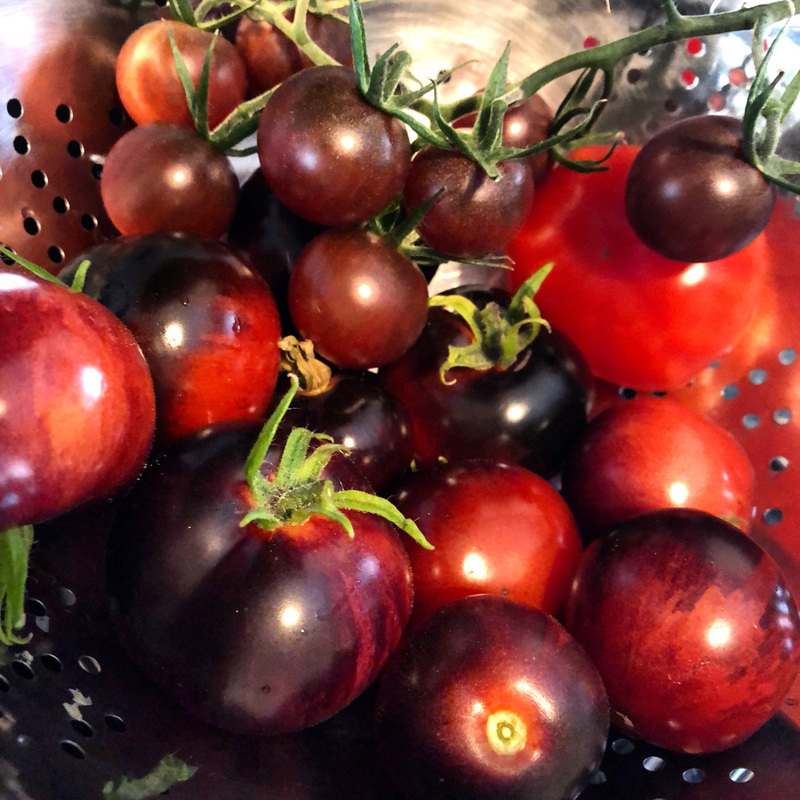 Once you start growing your own there’s a lifetime of culinary discoveries to be made growing hydroponic tomatoes, especially with all those seed choices. Best of all, most tomato varieties thrive in hydroponics growing methods–even water culture methods where little to no growing substrate is used at all, ie the roots grow in in oxygenated water that has all of the necessary elements required for growth readily available. 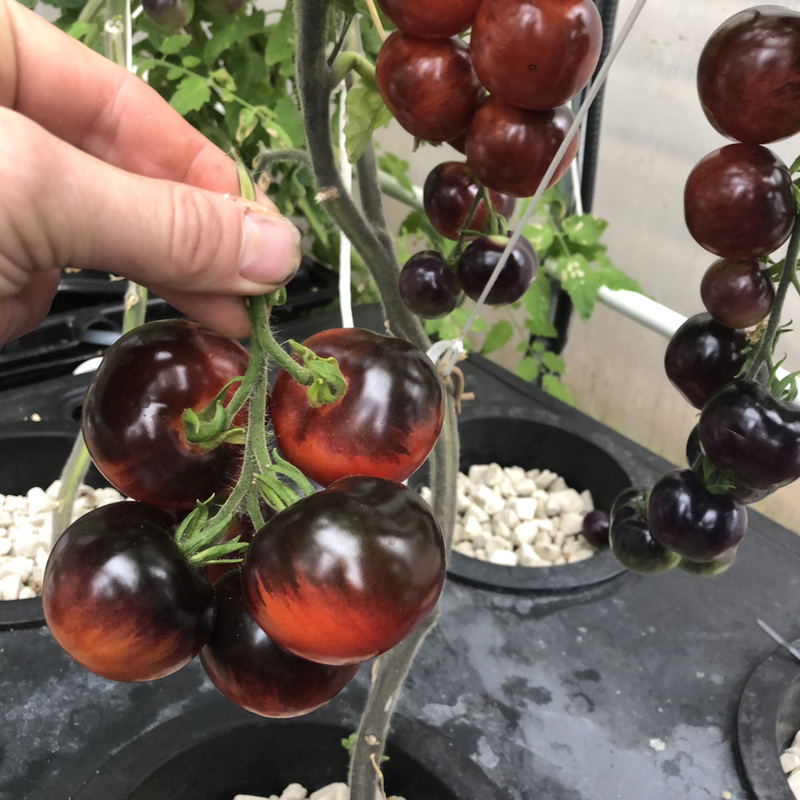 There are lots of benefits to hydroponics, especially water culture systems versus traditional or conventional growing methods–it’s no surprise why a lot of the world’s top greenhouse tomato producers grow their crops without soil. Growing hydroponic tomatoes indoors, ie with grow lights, allows year round and uninterrupted production. 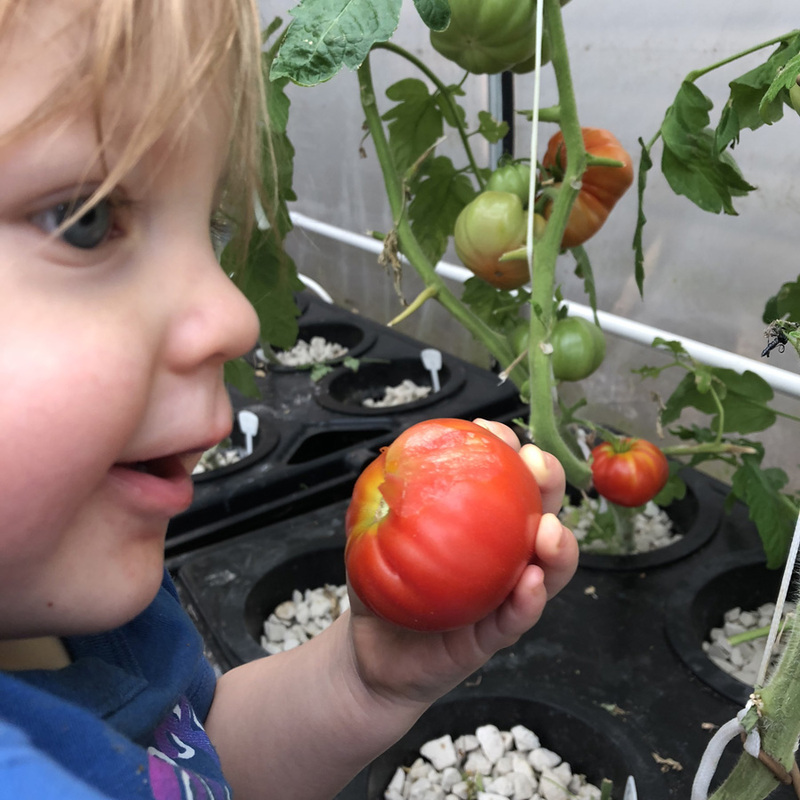 In winter months growing hydroponic tomatoes indoors can be especially rewarding versus the often flavorless commercially grown selections available at the grocery store. 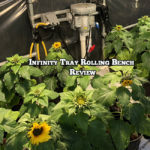 Imagine on a cold dark winter day unzipping your grow tent and filling a basket with vine ripened, tasty and firm pesticide free fruits from a variety that suits your tastes and personality; pretty tough to beat! 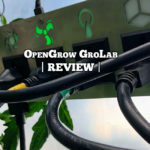 If you decide to grow indoors under lights and don’t already have a grow tent or grow room, you should be prepared to make some investment–the good news is grow equipment has never been more user friendly, accessible or affordable as it is at present day. Tomatoes are a high light plant and should get 8 to 16 hours of intense grow lighting daily. 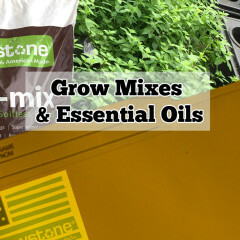 If growing indoors under lights it makes sense to select varieties that grow tight and bushy, ie Determinate varieties. Indeterminate and Semi-Indeterminate varieties are more vine like and can reach indefinite heights. 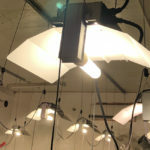 The vine types can be grown indoors under lights too, although they can pose more of a challenge and may require more lighting versus determinate (bush) varieties. When growing in hydroponics, plants will often get bigger faster and fruit sooner making your artificial light usage more efficient versus growing tomatoes indoors under lights with soil methods. 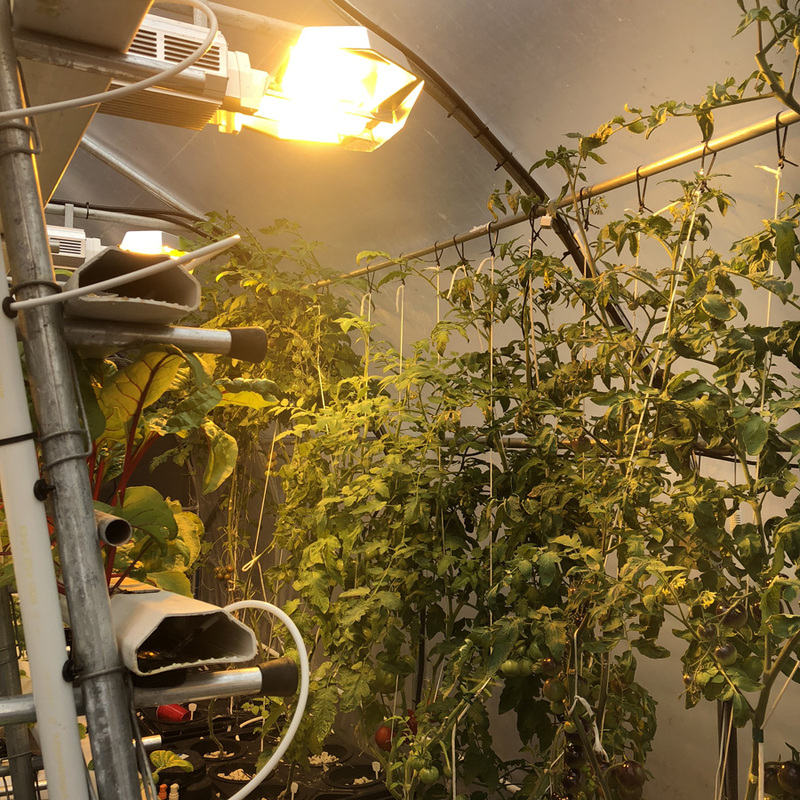 For most of the year, it’s easy to provide an optimal climate for growth and ripening indoors when growing hydroponic tomatoes under lights. When it gets hot outside, some growers will use their grow tent to start lots of plants and move their systems and plants outdoors while the weather is favorable (and the light is free). 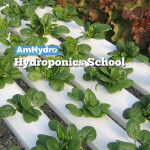 Hydroponic systems can work great outdoors and save you lots of water consumption and time. 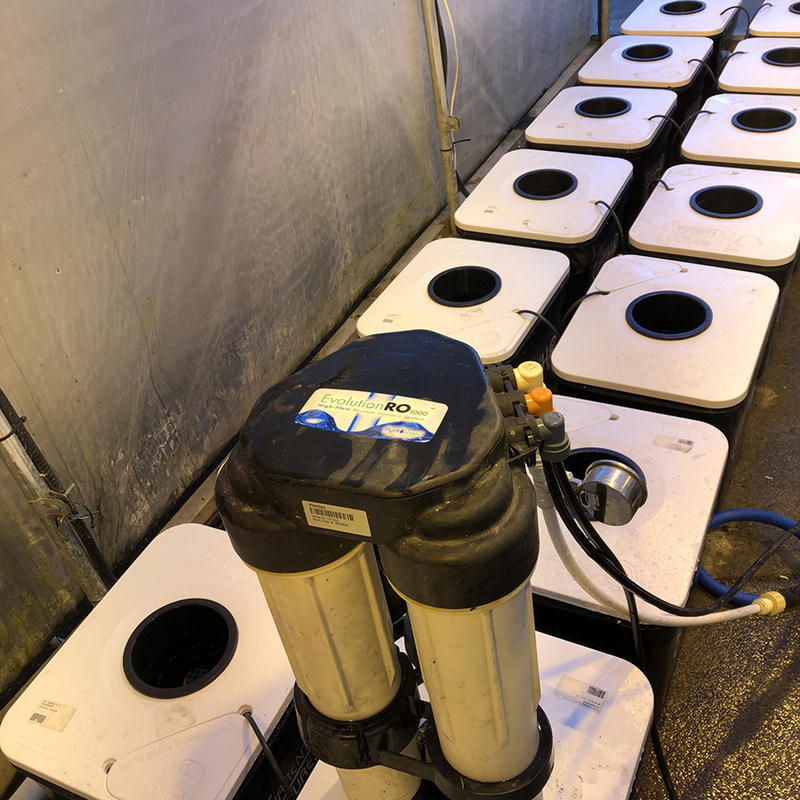 A hydroponic system or growth module is more or less sealed–so water loss is more directly related to what your plants are drinking up versus what’s evaporating into the air from exposed soil or growing media. Hydroponic systems are also clean and aesthetically pleasing, so you can set them up seasonally on a patio, porch or balcony with no big mess and pack them away (or better yet bring indoors) once the outdoor growing season is done. When it comes to choosing a hydroponic system that will spend time outdoors, look for something strong winds cannot carry away as well as materials that can stand up to direct sunlight. 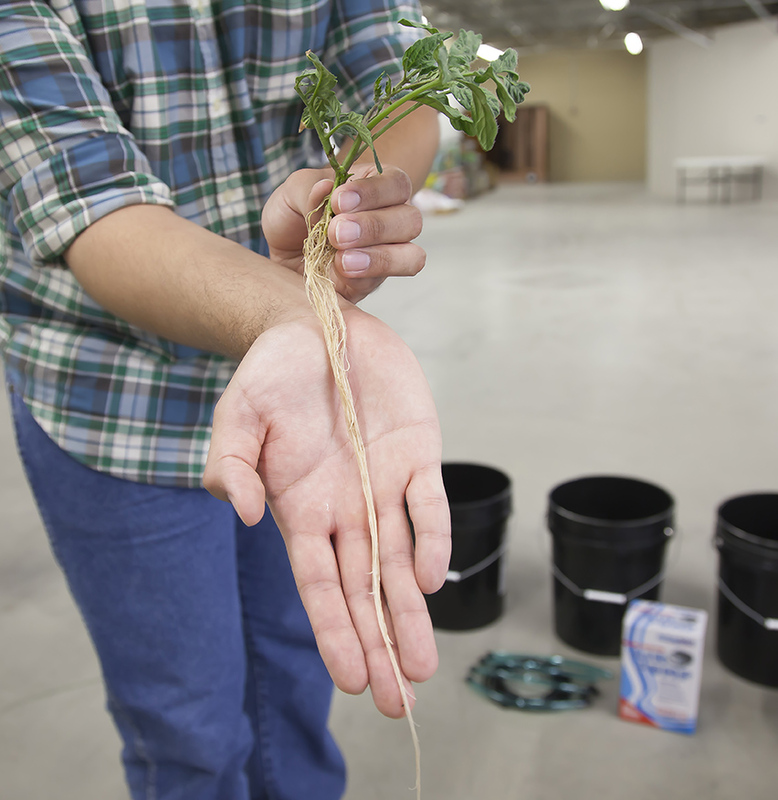 Most hydroponic systems will need a source of electricity–typically a grounded extension cord will be ample. Also note that there are hydroponic systems that work via gravity or capillary means, requiring no electricity. A greenhouse provides lots of space to grow hydroponic tomatoes as well as any other plants you might like to grow year round or extend the growing season for. 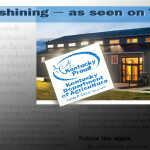 A seasonal greenhouse keeps power bills low and can add months to the regular growing season–outfitted with heating and grow lights and you can grow year round, and often for less cost in utilities versus indoor gardening–naturally, this depends on how cold it gets where you live and how much natural light is available. An easy and inexpensive DIY system. This simple set up will save you on time and watering while giving your crops an advantage as they will always have access to water and nutrients as they need it. 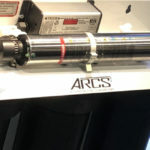 However, wick systems will require growing media and don’t provide increased oxygen levels for roots like water culture systems can, so don’t expect over the top growth rates or yields. There are lots of basic designs and instructions for a variety of wick systems, a quick search of the web should provide everything you’ll need to know to source and build your own. 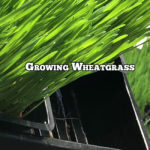 This type of system may or may not require a significant amount growing media–usually, the amount needed is small ie enough to fill a small mesh basket that will support the plant stem. 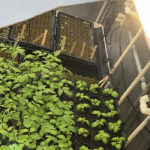 In a water-based top feed system you can start to realize some of the real benefits of hydroponics, namely increased oxygen levels for roots as well efficient use of water and nutrients. Typically, these types of systems can be operated as single modules, or can be linked together for larger gardens. 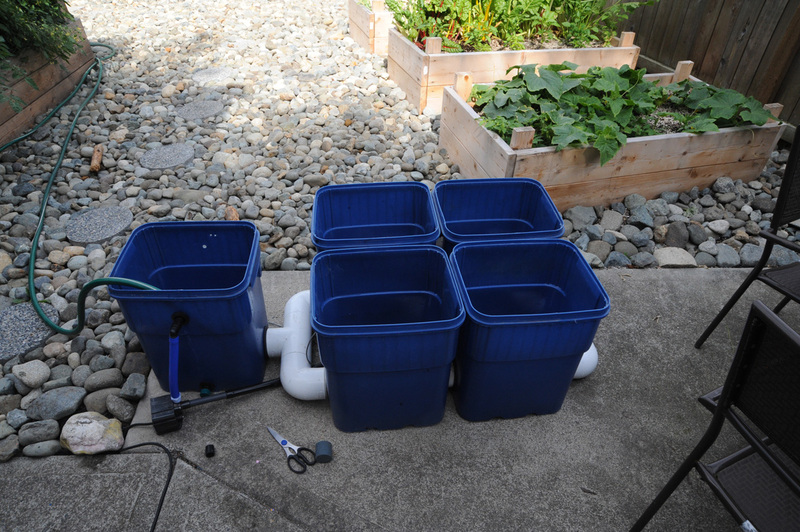 A bucket system is a great example and is an affordable DIY endevor or can be purchased as a complete kit. Dutch Buckets, while requiring growing media, are a very popular choice with professional tomato croppers. A great balance of simplicity, affordability and ease of construction & operation. The DWC system is arguably the oldest hydroponic system design in operation, and has remained as such with good reason. 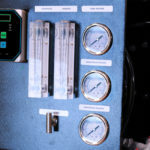 As long as you keep the system topped up with fresh water and nutrients and provide a good climate there is little to go wrong, ie no moving parts–this can be automated with a simple float valve. An aquarium or pond air pump and airstones continuously bubble oxygen into the root zone which is maintained in a depth of nutrient solution. While it sounds perfect, there are some hitches. Salt-build up at the top of the bare roots from air constantly bubbling the nutrient solution upwards and overheating can be problems if not managed. 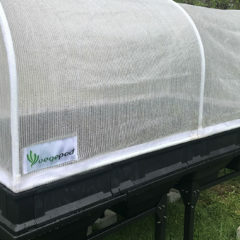 Reflective insulative bubble wrap is a great way to keep light and heat away from sensitive plant roots during intense conditions. If you want to get maximum production growing hydroponic tomatoes and avoid common issues, we find this type of system to be the best although it comes with a heavier price tag. 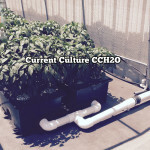 RDWC systems like CCH2O‘s Under Current series improve on the timeless DWC design by re-circulating the nutrient solution rather than just bubbling air into the root zone. 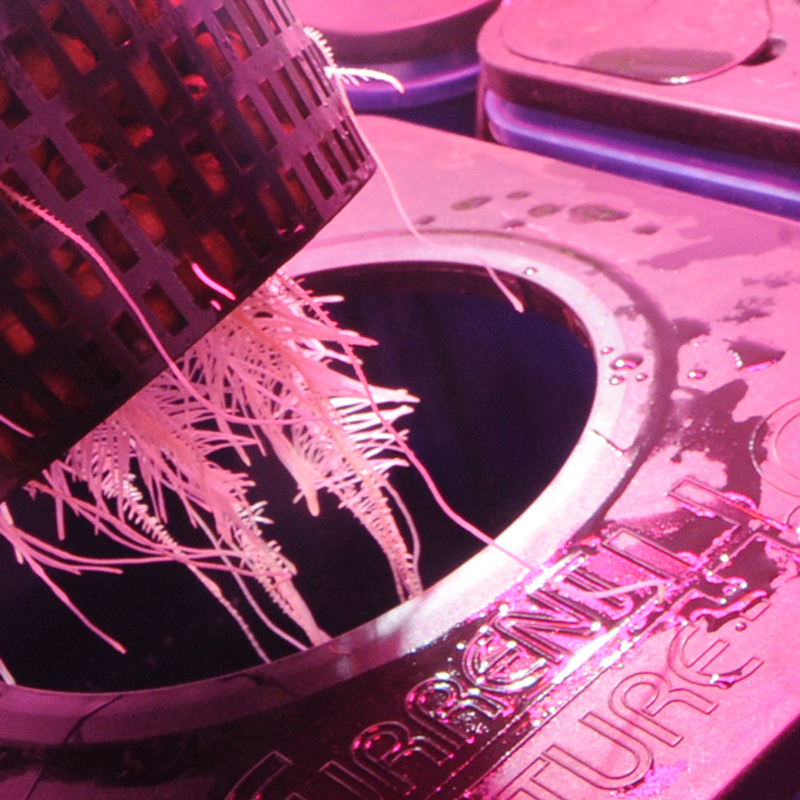 The moving water keeps salt build up off of plant roots, adds more oxygen and reduces surface tension around roots. The result is virtually unparalleled water and nutrient uptake due to saturated oxygen levels. You can grow HUGE plants in RDWC systems that yield heavy. 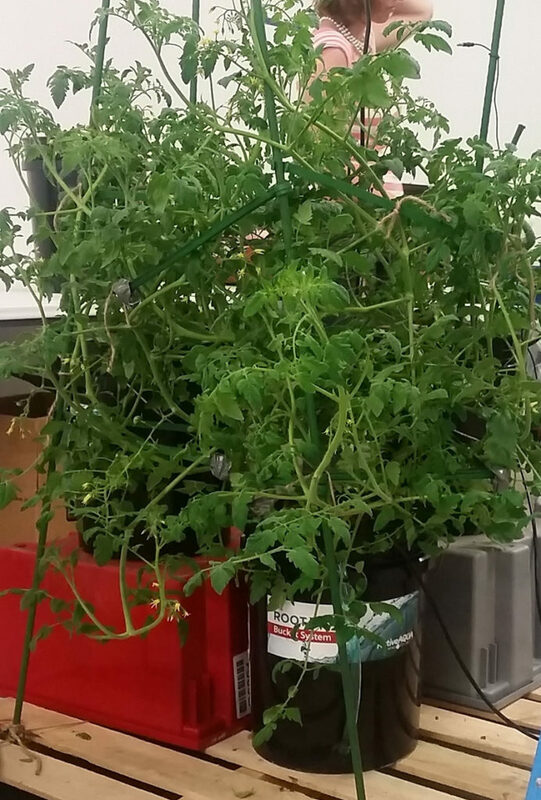 Believe it or not, you can use 1/4 strength nutrients on GIANT plants–water and nutrient absorption is so efficient in RDWC systems that your tomato plants don’t need all that excess fertilizer; it actually works much better versus using full strength nutrients in this type of system for growing hydroponic tomatoes. The first ingredient in growing hydroponic tomatoes–soil is a lot more forgiving when it comes to water quality because it can buffer metals, minerals, and other impurities. In hydroponics, impurities from raw water sources can have adverse interactions with your carefully formulated hydroponic fertilizers and can create problems with things like pH, which tomato plants are very sensitive to. 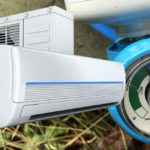 RO (reverse osmosis) filtered water is the best to use, but might not be necessary if you can use rain water or have fairly good quality water to begin with. 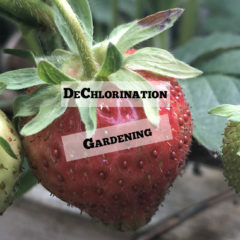 A Dechlorination/Sediment filter can do a good job of making marginally good tap water better suited for growing hydroponic tomatoes. Well water is typically too hard for use in water culture systems. Your water, after adding nutrients should be pH 5.5 to 6.2 for tomatoes. Inexpensive liquid pH test kits and liquid pH adjusters are available from hydroponics retailers. Growstones, aquarium gravel, coco, rockwool, perlite and vermiculite are well proven and inert growing medias you can use for growing hydroponic tomatoes. Ideally, you will not need much–the advantages of hydroponics is to reduce the amount of media that roots require–roots will thrive in an aerated nutrient solution better than a growing media that can sometimes get in the way of easy absorption of oxygen, water and nutrients. The system you buy or construct should not let light in. 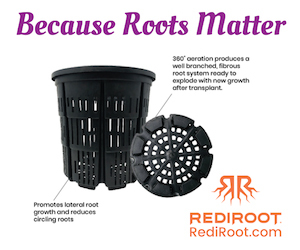 While it’s a lesser known fact that roots can stand sunlight if kept in 100% humidity, the main reason is that light will encourage algae growth because of all the nutrients, oxygen and moisture surrounding the roots. A little green algae can be unsightly, while brown algae can be a potential crop killer. Wrapping or covering growth modules in silver reflective bubble wrap helps insulate from temperatures while doing a good job of keeping light away from plant roots. Don’t worry, the rootzone (rhizosphere) can still exchange stale air through the growing media with the outside environment. While we love a good organic tomato as much as anybody, usually organic nutrients will create problems in hydroponics. All that organic matter in a warm, wet and oxygenated environment gives way to all kinds of bacteria, fungi etc. Note that HydroGenesis is a proven working option for hydroponic tomatoes–one of the very few! 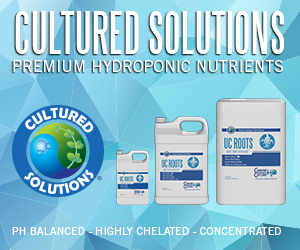 We highly recommend choosing a specialty hydroponic nutrient. Common garden fertilizers typically have Ammonium Nitrate in them. In hydroponics, this create an unstable pH and can lead to over fertilization or “nutrient burn” quickly. Specialty hydroponic fertilizers supply all or most Nitrogen as Nitrate nitrogen which is much friendlier in hydroponics. TIP: FOLLOW THE MANUFACTURERS DIRECTIONS CAREFULLY WHEN MIXING YOUR NUTRIENT SOLUTION–there should be directions for different stages of growth including rooting/germination, early vegetative growth, vegetative growth, transition, flowering and ripening. If in doubt, use less than full strength and raise concentration if necessary REMEMBER if you grow in water culture, you can usually apply 1/4 to 1/2 of recommended full strength nutrients and achieve improved results. Most cultivars of tomatoes will thrive in hydroponics, while some will grow extra vigorously versus conventional gardening methods. So far, our very favourite has been Indigo Rose. This is a semi-indeterminate variety that gets loaded with purple squash ball sized fruits. When ripened in colder temperatures the taste is unique and distinctly Plum like (so is the texture). Purple pigments are called “anthocyanins” and contain antioxidants for health. There are countless varieties to choose from however. Cherry tomatoes grow especially well in hydroponics. However, they tend to be very sweet so are best reserved for salads or eating whole and fresh. A noteworthy variety you might like to try is Yellow Stuffer, which looks like a bell pepper and is perfect for preparing stuffed and baked. 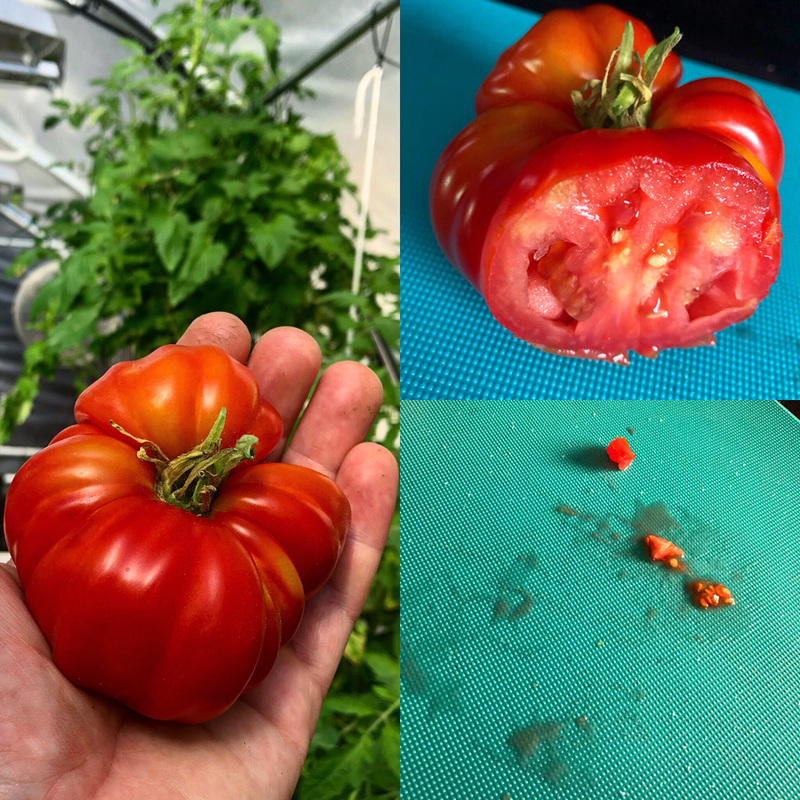 Roma tomatoes are nice and fleshy and grow very well in hydroponics. Naturally these are great for sauces, etc. Good ole Bush Beefsteak does great in hydroponics too. Compact “Patio” tomato varieties that stay short and finish early are great for growing indoors under lights. We have found heirloom varieties to be a little hit or miss in hydroponics. When they work, they work really well–there is a lot of diversity in any pack of heirloom tomato seeds. Did you know, the balance of sugar to acidity in a given tomato variety is largely what determines the taste. When growing hydroponic tomatoes, here are some proven tips and practices you can adapt to help ensure your growing success. Start seeds directly into an inert starter pellet, cube or plug. 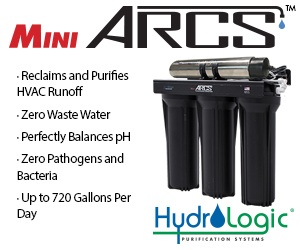 Use only filtered or rain water and typically a pH range of 5.5 to 6.2 works best. No fertilizer is required until tomato plants develop their first set of true leaves (the set that follows the seed leaves). 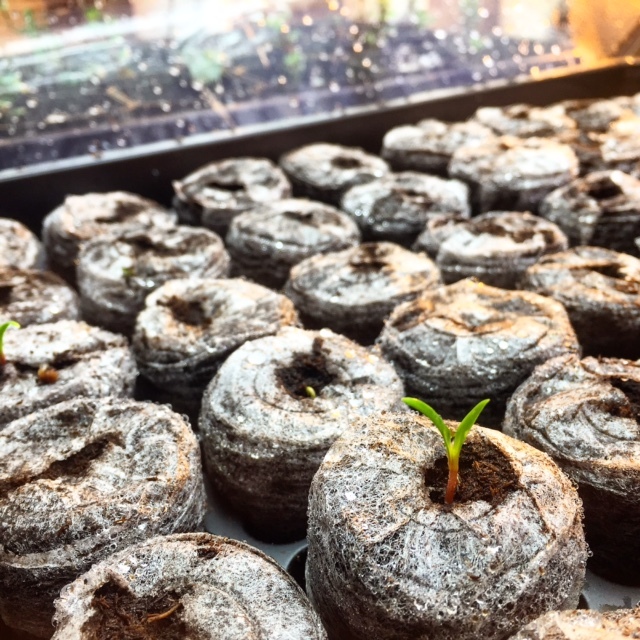 Tomatoes like warmth, so using a seedling tray with dome maintain high humidity and a steady 67 to 77 deg F. Once seeds sprout and emerge (usually 7-10 days) remove the humidity dome. Excessive humidity levels will cause seedlings to S-T-R-E-T-C-H becoming tall, weak and spindly. A heat mat can help you maintain an optimal temperature. Lighting also helps keep optimal temperatures, however, tomato seedlings do not need any light until they emerge–after that provide gentle and even lighting for 8 to 16 hours daily. 24/7 is OK too if you don’t have a timer yet. Initially, tomato plants want to establish some foliage and roots before they begin flowering. 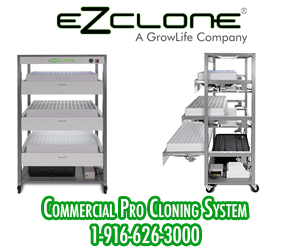 Once the seedlings get 4 to 6″ tall or if they begin crowding the tray, it’s time to transplant them into your hydroponic system. 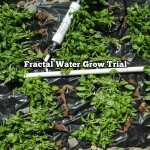 Sometimes growers using water culture methods will establish the young plants further along in net cups spaced closely together before planting them on into the final growing system. 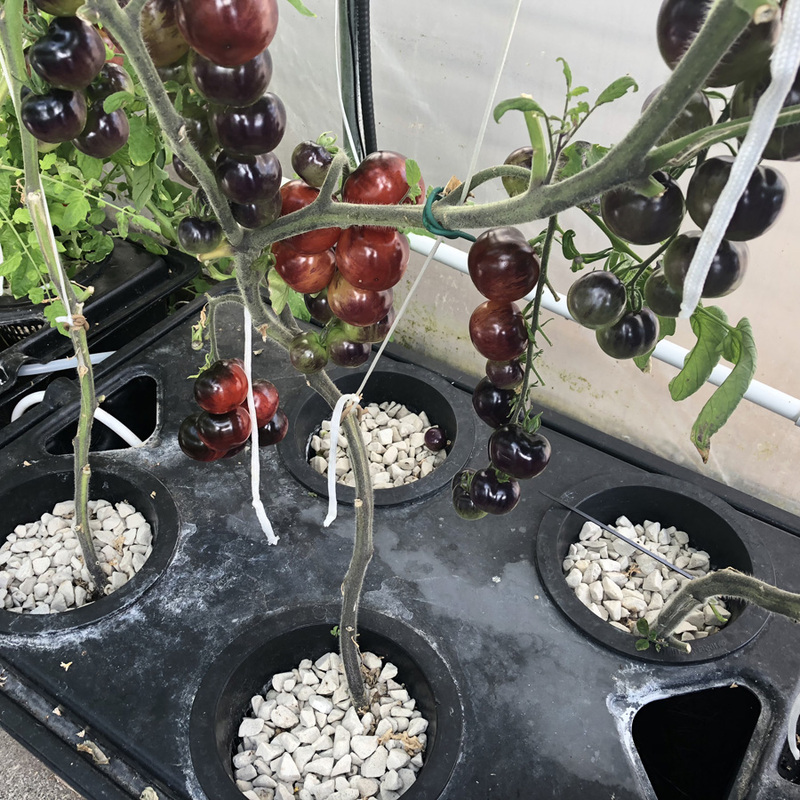 TIP: make sure the roots of your hydroponic tomatoes are sufficiently established and able to make easy contact with the nutrient solution in your hydroponic system to prevent plants from dehydrating and drying up after initial transplant. When growing hydroponic tomatoes, plants can get big fast. Be prepared to top off the system level with fresh filtered or rain water and nutrients daily–a float valve is inexpensive and can automate this process reliably, no electricity required; simple gravity flow. 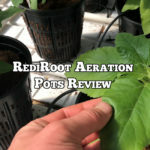 If the level changes too drastically and too often, so will the concentration of nutrients, pH and air to water ratios around the roots making for less happy plants. Pruning pays. 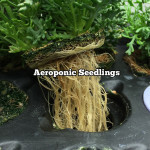 Your plants will grow very fast in hydroponics, and removing excess shoots and foliage allows your crop to direct more energy where you want it to go. (Click HERE for How To Prune) Ultimately, this is into heavy cluster or trusses of fruits. Trellising or staking will be required to help support the weight of the crop once it’s loaded with fruit–it’s usually a good idea to start training plants right from the beginning for best results. 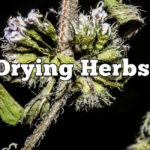 High humidity levels or a lack of calcium in the nutrient solution can cause your tomato plant’s flowers to drop off before they can begin to form fruit; usually not a problem, just watch for it. Gently shaking flowering tomato plants will help them to pollinate and form fruit–so will using a fan, gentle winds or best yet, pollinators like bees. Tomatoes will do well in a range of temperatures, however, for most varieties and at most growth phases 72 to 82 Deg F during the day and 65 to 72 Deg F at night usually is best. Cooler temperatures and a moderatly strong nutrient concentration will make your tomatoes colorful, firm and tasty. An excess of nutrients, especially Nitrogen (N on your fertilizer label) can create less palatable tastes in your harvest. Potassium (K) promotes good ripening, firm textures and hardiness. TIP: if you have any green tomatoes left on the plant once you decide to end the crop, put them in a paper bag with a green banana–the natural ethylene gas from the green banana will ripen your tomatoes quickly although not as tasty as vine ripened.